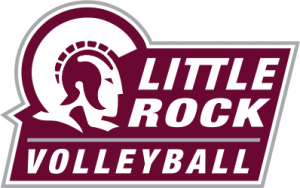 Little Rock (LR) volleyball notched a dominating victory away to Louisiana-Monroe (ULM) last night. The Trojans shutout the Warhawks, winning 3-0. LR led in all categories, with 57 points, 10 blocks and 39 kills. Taylor Lindberg had another impressive game with 23 assists and 12 digs. Maritza Mesa led the team in kills (10) and Veronica Marin led the team in blocks (7). LR faces Louisiana-Lafayette tonight at Earl K. Long Gym at 6:30 p.m.